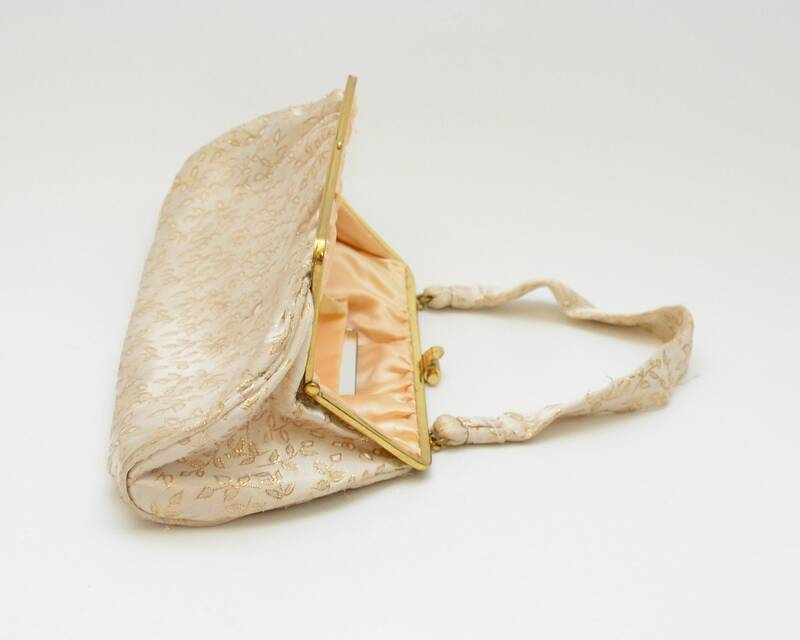 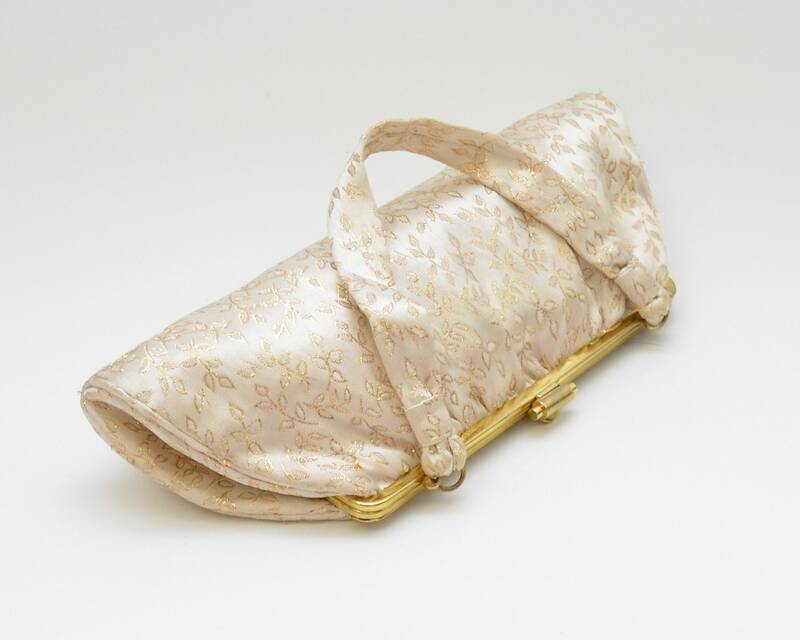 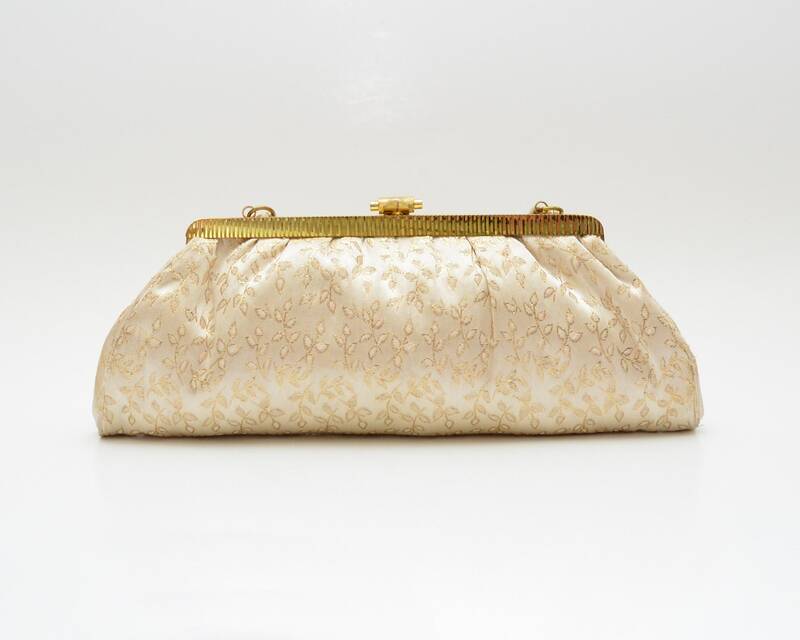 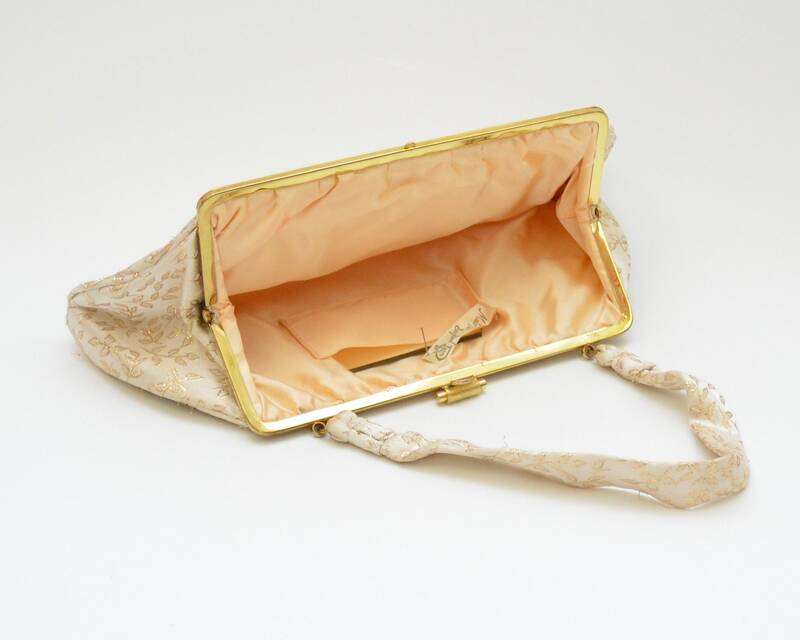 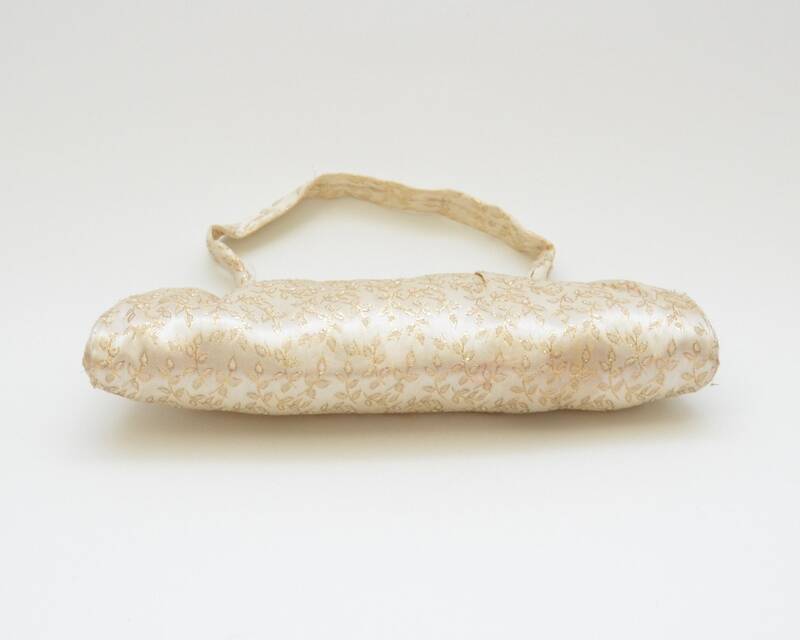 A pretty champagne colored brocade satin handbag in a leaf pattern. 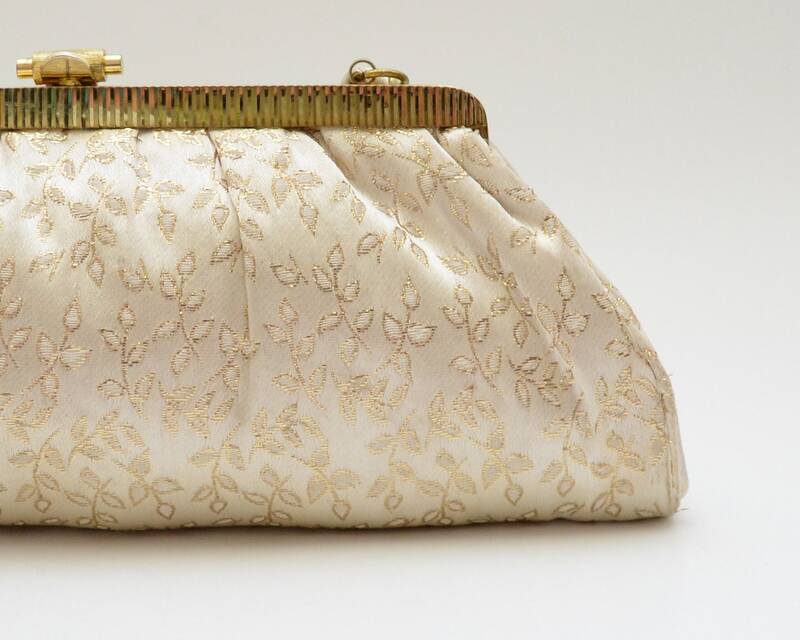 Gold tone closure, and the interior features a small pocket mirror. 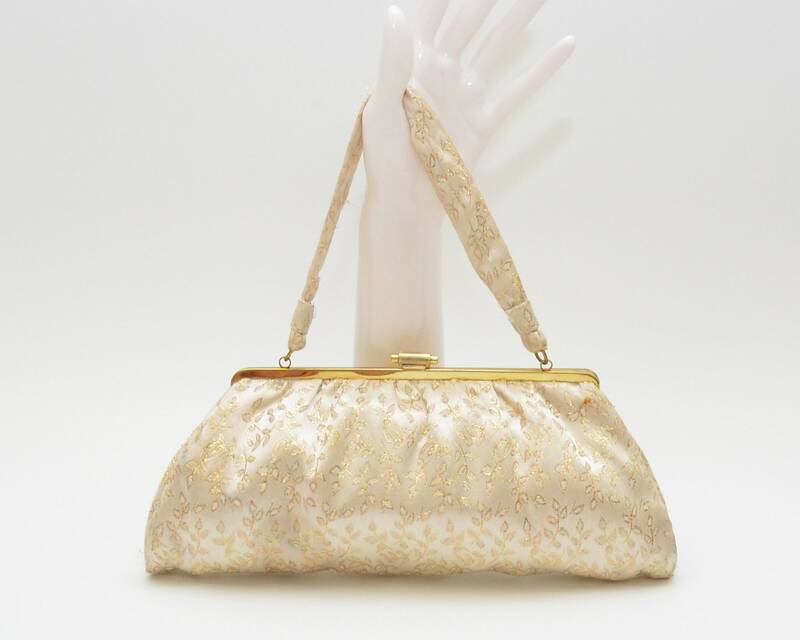 Only noted flaw is a faint spot on the backside.